Have a feeling things sounding a little different around here? You are quite correct! I've changed my business over from my 'The Paige Studio' business name to my own name, Paige Brunton, and I couldn't be more excited about the switch! Here's how this all came about and of course, the ever important why behind it all. 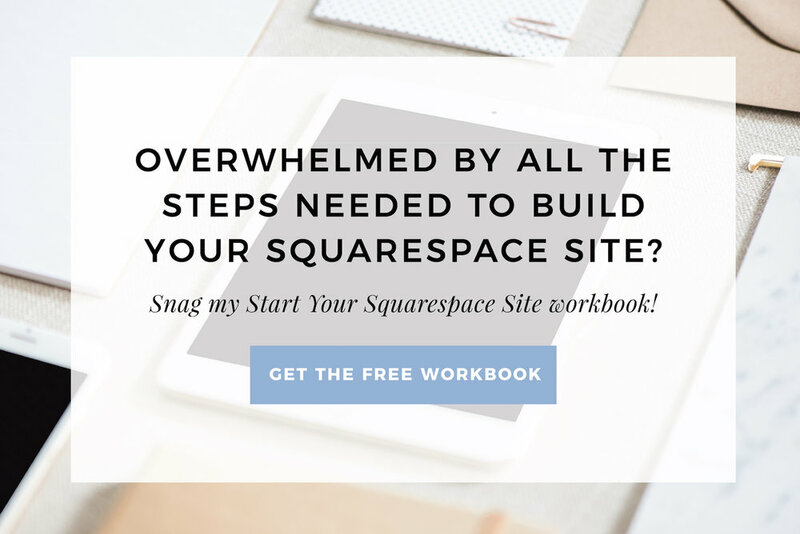 I built my business back in the day with one intention, to be a Squarespace website designer. In an effort to sound more legit I called my business a 'studio'. At the beginning I was just sitting there in amazement that people would pay me through the internet to do something I loved, which I could do wherever and whenever it suited me. *Pats self on the back. * "Job darn well done Paige." Not to mention, people were always assuming it was 'The Page Studio' instead of 'The Paige Studio' and I quickly felt like kicking myself for getting clever with a business name, and therefore domain name. I've been thinking about changing my business name for months now and finally took the leap last week. Why? New baby businesses start as one thing and often morph into quite another. Don't get me wrong, I love designing websites, but the more I've created content and interacted with you all, there's other topics you've made it clear to me you're interested in, and which I'm loving sharing. I love sharing the behind-the-scenes of my business. I love sharing the systems I use, other than just Squarespace, to run an efficient online business. I love talking about business and website strategy, not just sharing Squarespace tech tutorials. And most of all, this is the biggie, I love shouting encouragement at y'all from the rooftops. Wanna build a business? Heck yes you can! Wanna learn a new skill? Make a few grand 💰 on the side? Chase after some creative passion that's bubbling up? Woot woot! Go get after it girl! It is absolutely possible to be successful with these things today, and I'm excited to (virtually) cheer you on while you go do what lights your heart on fire with passion. I know that my business will be expanding to help y'all with things outside of just Squarespace website design in the future, and the primary reason for the switch was that I feel like The Paige Studio name just didn't fit that new vision. It can be difficult as a new entrepreneur to know what you'll want to be doing 5 years down the line. With a traditional business, it's hard to see the why behind a major business change or shift. Of course, if Squarespace closed up shop tomorrow, it'd be clear why my business would change direction. But because the founder felt like going a new way or the community needs changed? That's harder to explain as a traditional business. I feel like as a person we can explain personal decisions in a way that is so much easier understood and share the why behind our changing decisions and direction. Not to mention, when you're a business that does just one thing, you stick to just that, even if your customers have other needs and develop. As a business under my own name, I can build a community and grow with y'all, changing what I create content around and offer to serve you best. I also feel like the longer I've been in business, the more I as a person have become wrapped up into this business, it's hard to separate us. I'm in every video (because, you know, there's no one else on this team at the moment to do so), in the photos, the business voice is my voice, my terrible jokes are the businesses terrible jokes (whether you like it or not!). With literally no conscious intention to make it so at all, my business over time became me. My only intention was to not feel like I had to be some boring, old, stuffy business and so the longer I was online, the more I got comfortable and the more 'me' my business became. As time went on I stopped pretending to be some legit 'studio,' I stopped trying to sound so darn professional and I stopped trying to act in some certain way that website designers 'should' be. The more I let go of what I thought my business 'should' be, the more I loved working in my business and the more authentically I was able to connect with y'all. Lastly, I feel like it was safe to 'hide' behind The Paige Studio name. I began feeling months ago that I wanted to step out into my own and authentically be me, and what a better way to do that than to use your own name? So, here we are. That's why I made the move and I'd like to personally welcome you to the new PaigeBrunton.com!